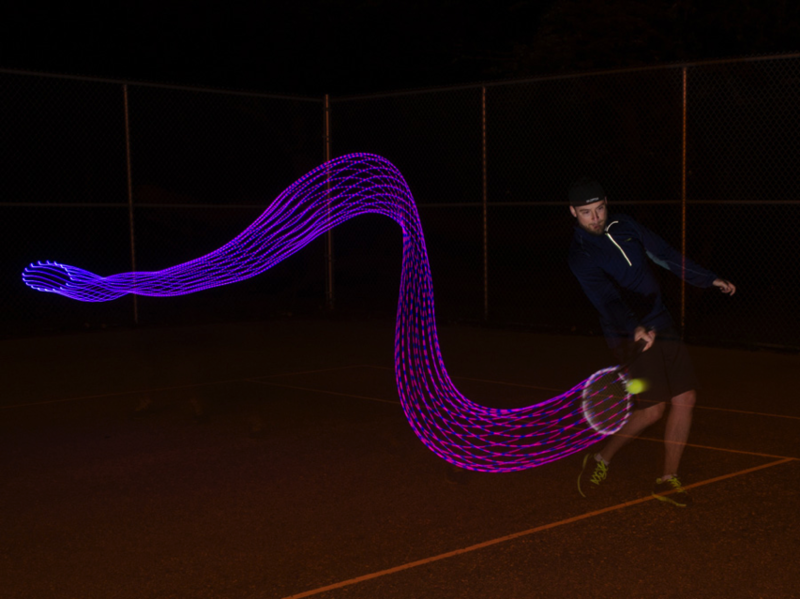 Long exposure photos show the elegant hidden patterns in sports #ArtTuesday « Adafruit Industries – Makers, hackers, artists, designers and engineers! There’s a whole side of sports we can’t see with our eyes alone, and in recent years, thanks to new tools, we’ve just started to glimpse it. Billy Beane’s advanced statistics changed how we evaluate baseball players. Aerial cameras are giving us new ways to understand the NBA. 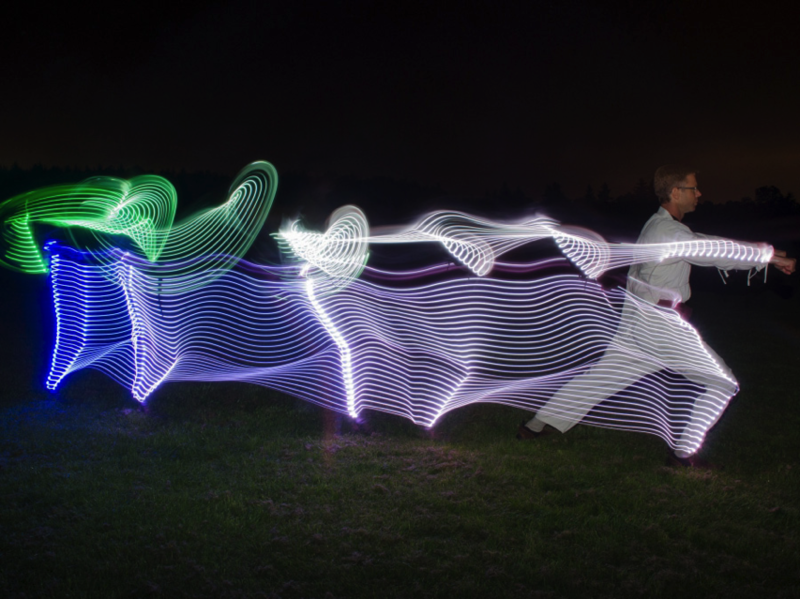 Canadian photographer Stephen Orlando has a far simpler approach: He visualizes the action using a strip of LED lights. 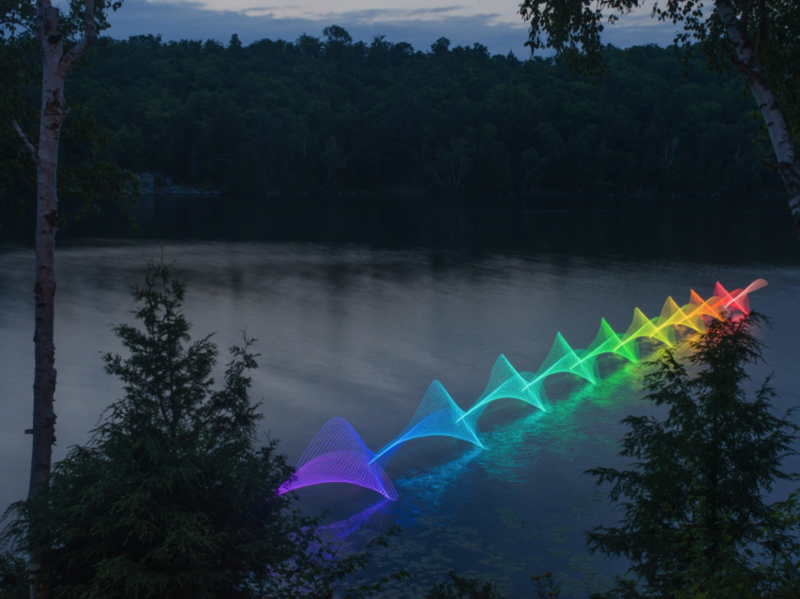 Orlando’s long exposure photographs reveal the invisible patterns in activities like kayaking and canoeing. They won’t upend our understanding of these activities, but they certainly invite us to look at them in new ways. Orlando hails from Waterloo, Canada’s largest tech hub. His background is in engineering and aerodynamics. “I have spent several years analyzing and measuring fluid flow using various techniques,” he says. “I’m also an avid outdoor enthusiast with a passion for photography.” These photographs are where those two interests intersect. Both involve telling stories about how things move through space. “Similar to streamlines of fluid flow, these images show pathlines of objects. In a single image, the viewer is able to compare different points in space and time,” he says. Anyone who’s been in a kayak before has felt the rhythms inherent in paddling. Here that rhythm is visualized as a delicate ribbon of light. Each sport requires Orlando to fine-tune his technique. He uses a custom Arduino-based rig that lets him program the color and pattern of the LEDs, and he aims to find patterns that accentuate the motion of whatever activity he happens to be shooting. But the normal photographic concerns are crucial, too, he says. Background, framing, and composition are just as important to the results as the light trails themselves. “Without them, they would simply be lines without any context,” he explains.